Left-wing NGO and residents of Jerusalem neighborhood petition Supreme Court to block modifications needed for US to relocate embassy. JTA - A group of Israelis who live near the site of what next month is slated to become the U.S. Embassy in Jerusalem has asked the country’s Supreme Court to block the security changes the United States deems necessary. The residents of the Arnona neighborhood in southern Jerusalem have complained that a planned 13-foot-high stone security wall will obscure their view to the east, and that a planned escape road is digging up a picturesque hillside. The residents already have had to deal with security patrols and bright security lights around the current building, which today serves as the U.S. Consulate. The residents are angry that the changes are being made without consulting with them, Hadashot News reported on Monday. 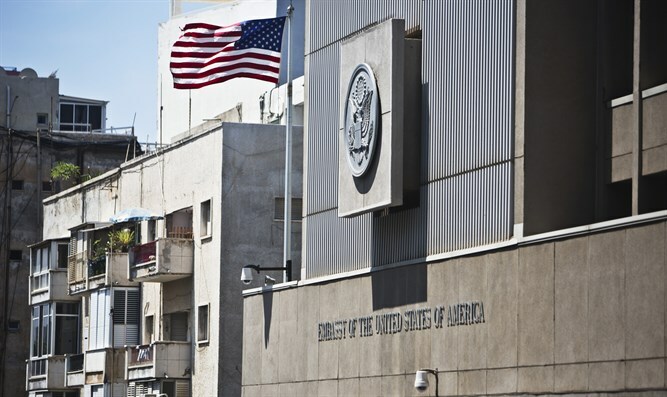 Israel’s National Council for Planning and Construction last month waived the usual rezoning approval and construction permits for the work in turning the U.S. Consulate in Jerusalem into the American embassy. Finance Minister Moshe Kahlon signed off on the official zoning and permit waiver for the building. “As we promised, we won’t let unnecessary bureaucracy delay the move of the American embassy to Jerusalem, Israel’s eternal capital,” he said at the time in a statement. Kahlon called the leniency “a strategic diplomatic move” for the country. The waiver is valid for three years. The area’s current zoning would not have allowed the wall or the escape road. U.S. Ambassador David Friedman and some staff will begin working out of the consular section beginning in May, JTA previously reported. In the second phase, by the end of 2019, an annex on site will be constructed for a more permanent working space for the ambassador, staff and a classified processing site. The third phase, the site selection and construction of a new embassy, will take up to nine years.